We have experienced sales representatives that are happy to come meet with you, analyze and measure your site, and visit with you about your project vision. They can bring product catalogs with them or we can mail them to you in advance if you would like start exploring options. Flip through the catalogs and let us know what elements you like, love, or do not want included in your design. 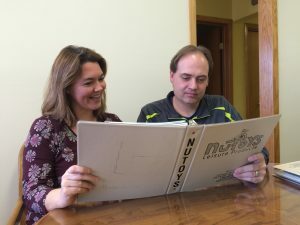 We offer free planning assistance and our in-house designers will develop a 2D design plan that meets your space, budget, and equipment preferences. Want to change out some components or add aditional ones? No problem! We can easily make design adjustments and provide you with a revised plan and quote. Want a natural colored playground or something bright and cheery? 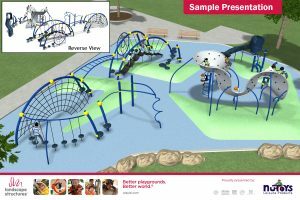 We can help choose a color palette that fits your project and provide you with 3D renderings of the proposed design(s). We can email you these designs or prepare a poster-sized presentation board with supporting images. Once an order is placed, the lead time for standard playground products is 3-4 weeks. 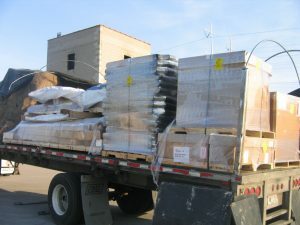 The play equipment will be loaded onto a flatbed truck and delivered to your site. Services to unload the truck are not included. 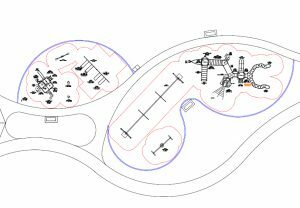 NuToys does not personally offer installation services but we have working relationships with several contracting companies that have extensive experience in playground installations. We can refer you to an installer or if requested, can solicit an installation quote for your specific project. Another possibility is to recruit volunteers to do the installation via a community build event. 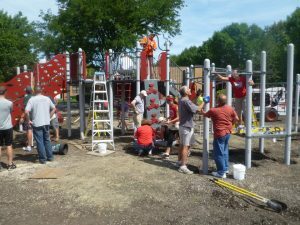 Community builds are a great way to foster community spirit and save costs on installation. Detailed installation instructions are provided with every order, although some component installations can be challenging for inexperienced installers. If you are considering a community build, please contact your sales representative and he or she can provide guidance and helpful planning information. Time to celebrate! 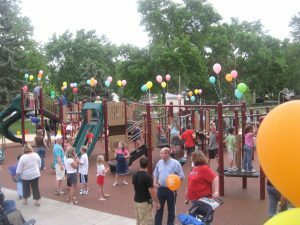 Plan a grand opening celebration to get the whole community or school excited about the new play equipment. Enjoy and have fun!